Not a Member Yet? Click here to Sign Up Online Today! Our Mission: To enhance the quality of life for adults with disabilities, living throughout WNY. Out of the Blue WNY teams up with numerous organizations like People Inc and Community Services for the Developmentally Disabled. We are willing and eager to work with any organization who cares for or supports the adult community living with disabilities. Out of the Blue WNY is made up of dedicated people who want to make a difference in the lives of adults with disabilities by enriching their lives and lighting up their day. For more information visit our website. Back in 1914, John Palisano started Lincoln Moving & Storage with his six sons. Though the small family business only had one horse and wagon to its name, it grew in both size and reputation over the course of the next century to become, becoming a proud agent of Atlas Van Lines capable of worldwide moves. With offices in Buffalo and Syracuse, we have the experience and resources in place to effectively meet our customers’ logistical needs. As a BBB-accredited business, we have a proven track record of superior service and customer satisfaction. Our New York movers are continuously trained professionals with the capability to move high-value industrial equipment, furniture, appliances and more. Our comprehensive employee training program and advanced fleet allow us to complete specialized trade show and university moves, plant relocations, warehousing and fulfillment services and much more. Whatever your requirements are, our expert staff of drivers, packers, and Move Coordinators will work with you from start to finish to fulfill them. In addition to our moving capabilities, Lincoln Moving can store your items for as long as necessary in one of our secure, 24/7-monitored facilities. Surveillance cameras and patrol services will keep your items secure so you can rest easy as you attend to your household or business move. We also offer portable storage solutions for your convenience! Our New York movers go above and beyond to be environmentally conscious in everything they do. If you have used paper products to dispose of before or after your relocation, we can recycle them for you in one of our three green facilities. At Lincoln Moving & Storage, we take pride in offering the best solutions to our residential and commercial customers. For custom service that minimizes your stress and downtime and maximizes your satisfaction and profits, contact Lincoln Moving today. Form ore information visit our website! Cutting edge advertising solutions tailored for your specific business needs. Visit our website for more information. The Copy Store has been providing digital printing and related services since 1982. We expect a lot from ourselves – this section explains what you can expect from The Copy Store. For more information visit our website. ACCESS of WNY, Inc. was founded in 2005 by a group of concerned local Arab American community members who had great concern for the future of youth in the community. The Arab American community felt responsible to become part of the solution to city’s increasing disparities. With a population of 18,000 residents, Lackawanna’s 10% school dropout rate presented an increase in repercussions on individuals, families and to society. Like most immigrants, the Yemeni immigrants left their homeland to provide a better future for their children. Most working in Bethlehem Steel – a leading steel making factory in the US at the turn of the century – and other labor intensive factories in order that their children would be able to obtain a higher education. Although, the majority of Yemeni immigrants at that time were illiterate in their own native language, they highly valued education for their children. Many early Yemeni immigrants first settled within pre-existing Lebanese and Palestinian communities in cities such as New York. After orientating themselves to their new surroundings many Yemenis set off for different parts of the US and mainly the western part, where the labor force was quickly growing. Working as farm laborers in California’s San Joaquin Valley and as factory workers in Detroit, Canton, Weirton, and Buffalo, many Yemeni Americans prospered in the 1920s. During the depression of the 1930s the flow of Yemeni immigration slowed dramatically but resumed again in greater numbers after the end of the Second World War in 1945. One route of immigration into the United States was through Vietnam, where many Yemenis had worked in warehouses, shops, and on the docks as watchmen. Through a loophole in the immigration laws, many Yemeni immigrants who were not literate in their mother tongue (which was a requirement for all immigrants entering into the United States) could bypass regulations and thus be admitted. Patterns of Yemeni immigration were often in the form of chain migration, in which already established immigrants would secure visas for their relatives in Yemen. With the elimination of a quota system for immigration in 1965, Yemenis gained easier access to entrance and work visas, leading to a great increase in the numbers of immigrants. The conception of ACCESS WNY was to create a nonprofit organization with a main focus to assist families living in the Greater Buffalo Region. Many of the services offered by the organization are utilized by the region’s immigration population, however, our services are meant for immigrant and non-immigrant families alike. As an organization addressing and combating poverty among low income families within the community has been an uphill battle. Locally, families are confronted with the responsibility of making crucial sacrifices due to a poor economy. Some have lost homes, jobs, healthcare, retirements, etc., making it exceedingly more difficult to raise a family. Unemployment takes its toll on the whole family, rearing a chain of despair including; increased incidences of domestic violence; increased youth vulnerability to crime, drug abuse, and bullying. When a family loses stability, they become increasingly vulnerable to the many ills of society. The creation of ACCESS of WNY, Inc. was to help resolve all of these social issues faced by the community. Since its inception, ACCESS has taken the lead in providing social programs to assist hundreds of low income families, at-risk youth, immigrants, and unemployed of the Lackawanna community. The agency strives is to provide a welcoming environment for clients and assist them with vital services required to achieve a high level of self-sufficiency. ACCESS WNY’s aim is, “To assist the family as a whole and equip them with the proper tools and resources in order that they can all excel collectively, resulting in a stronger, well-rounded household.” As the needs of the Lackawanna and WNY immigrant populations increase ACCESS of WNY, Inc. has developed many programs to suit their unique needs. As most grass-root organizations, successful execution of programs needed to be completed creatively and were implemented with very few funds throughout the past 10 years. For more information visit their website. Vio Plumbing & Mechanical is a 2nd Generation Family Owned and Operated full service plumbing company currently managed by twin brothers Nick and Alex Violanti. Nick and Alex have been raised in the business and between them share a vast knowledge and understanding of the trade. Both are licensed master plumbers who take pride in not only their workmanship but also in furthering their education, discovering new equipment and developing new techniques to save our customers time and money. With a large fleet of equipment and the proper tools at hand VIO has what it takes to complete your project. Visit our website for more information. 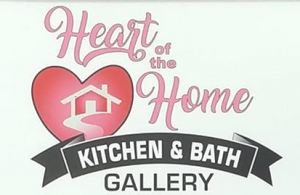 Faith Powell and Laura Robinson are owners/designers of Heart of the Home Kitchen & Bath Gallery in Hamburg, NY. The kitchen is truly the Heart of the Home and at Heart of the Home Kitchen & Bath Gallery we strive to give you the kitchen of your dreams. With over 30 years combined experience, Faith & Laura will give you the one on one specialized attention your project deserves. Not only do we design kitchens but also bathrooms, offices, bars, basements. Any place cabinets would go. Our showroom has everything you need to complete your project from cabinets and counter tops to the hardware and tiles. For more information visit their website. For all of your event planning needs. For a more information and event menus visit their website. Sondra Payne is a financial consultant with The BlackOak Group and part of the Elite Producer Group within AXA Advisors, LLC. Sondra received her Bachelor of Arts degree in 2008 from the State University of New York at Buffalo, with a concentration in mathematics and finance. I founded Alto Home Inspection, LLC after years in the technology industry where among other things I was involved in numerous construction projects. My ambition for DIY home improvement, and doing things the right way, the first time, led me to become obsessed with all things related to the home. As a licensed home inspector, I strive to provide you with the best inspection experience available, and unbiased reporting of visible and accessible conditions at your home. I am an Associate Member of ASHI, the American Society of Home Inspectors, and have been issued the ASHI Background Verified Inspector designation, which indicates a that criminal records have been searched at the federal and local levels and revealed no arrests or convictions. I would be honored to be part of your home ownership experience. New York State Licensed Home Inspector #16000086029 For more information visit our website.